BGC Masters Day 6: Two Former World Champions reached their first Masters semi-finals after defeating Mark Williams 6-4 and Mark Selby by 6-2 respectively. The 2010 World Champion had never reached semi-finals of Masters before and he did it today. 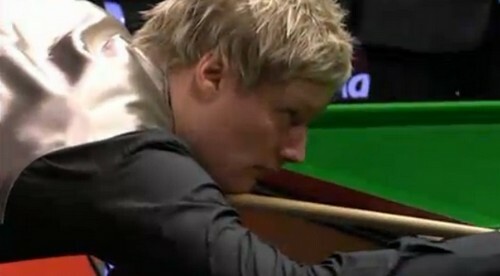 He had an 3-1 advantage over Williams at the interval, nicking two close frames and a 95 to take the advantage. The Welsh Potting Machine could have level 2-2 all but the miss pot of tricky final yellow to the middle pocket resulted in two frames behind at the mid interval. The first two frames after mid interval were shared before Williams caught the mistake of Robertson on 26 to make 68, reducing the gap to one frame behind but the Aussie stormed a 119 to go 5-3 up. The Welsh did not give up though, his effort of 78 made it 4-5. Thunder from Down Under no longer offer chances for Williams to level and force a decider, break of 58 helped him to get a 6-4 victory. 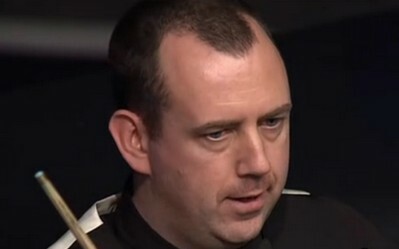 He will face Judd Trump in the semis, who beaten him twice last year, "He's beaten me twice but I don't think of revenge or anything like that. Once you start thinking like that you can play all sorts of mind games with yourself. I'm just going to go out there and play. I know how he plays, he's really attacking and it's going to be an open game no matter what. I just have to be efficient during the match, I know if I take my chances I can win. 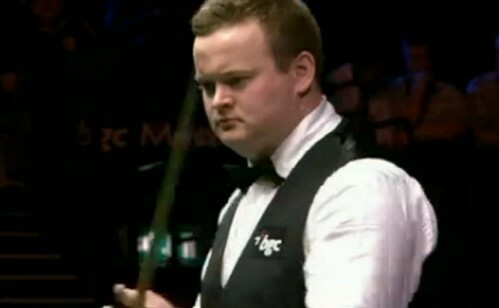 Meanwhile, Shaun Murphy beaten twice Masters Champion Mark Selby by 6-2 to reach the semi-finals. 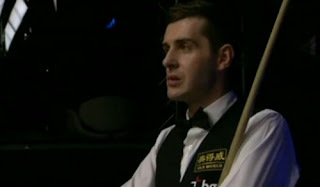 Selby was recorded to be defeated by twice only in his appearance in Masters, his defeat to Murphy will add to three. Selby took the long opening frame but breaks of 88 and 52 put Murphy winning the next three to lead 3-1 at the interval. Murphy was going for a maximum in frame 5 but the break ended after potting nine reds with blacks, 72 which was enough to put him 4-1 up. Selby got a decent chance to pull one back after Murphy making 65 but missing easy final yellow costed him another frame on broad, Murphy led 5-1. Selby aimed to produce a maximum in the following frame but the last red was very tough and he missed, 112. Murphy claimed the eighth frame with 48 to earn the last semi-finals spot in the Masters. "That's the first time I've seen Mark stamp his feet and get annoyed with himself, which he did in the third or fourth frame. We both wanted to win so badly. I know he was giving his absolute best, but that's sport, you don't get your A game every time and you've got to try and get through that.'' Murphy said. "It's got a great history, a great heritage and it's one of the first tournaments I went to as a young kid. I'm not sure why it hasn't been a good event for me in the past. But new venue, new start.'' He will play John Higgins in the semi-finals.